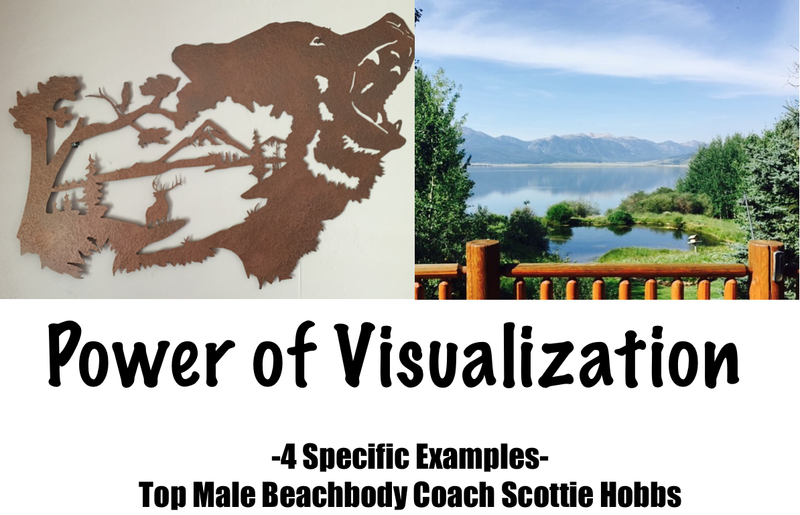 Today I want to talk with you about the power of visualization and how it has manifested the achievement of goals in our lives especially in the past 4 years since I have embraced this personal growth journey as a Team Beachbody Coach. 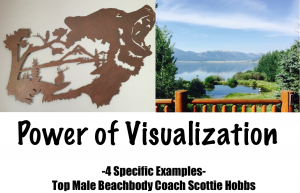 I will share with you 4 specific examples of how the Power of Visualization has helped us to achieve “dreams” or goals that we have created in our mind before it ever seemed possible to achieve them. Some people may think its hocus pocus to have hope for something that you can’t see. This to me is faith which is something I fully embrace in my life and in the lives of those that we work with and mentor as Team Beachbody coaches. 1. Make enough income with Beachbody to bring my wife home. 3. Pay $100,000 off our mortgage in 5 months. 4. Own a Dream Vacation home with a view that is EXACTLY like I drew up 5 years ago. My challenge to you is to set specific goals and get a vision of what you want to achieve next in your life whether its an improvement in your health, relationships, or finances. I don’t want you to pre-judge what you are capable of achieving because when you “let go” and let God or the Universe work in your favor you will be capable of far more than you ever imagined. Once you have set these goals I want you to do these. Set part at least 15 minutes first thing in the morning. Do NOT look at any sort of news or devices. Envision and see yourself as if you have already achieved them. Then, get to work on the Hustle. With this being in place, remember there is no such thing as getting something without putting in the work.